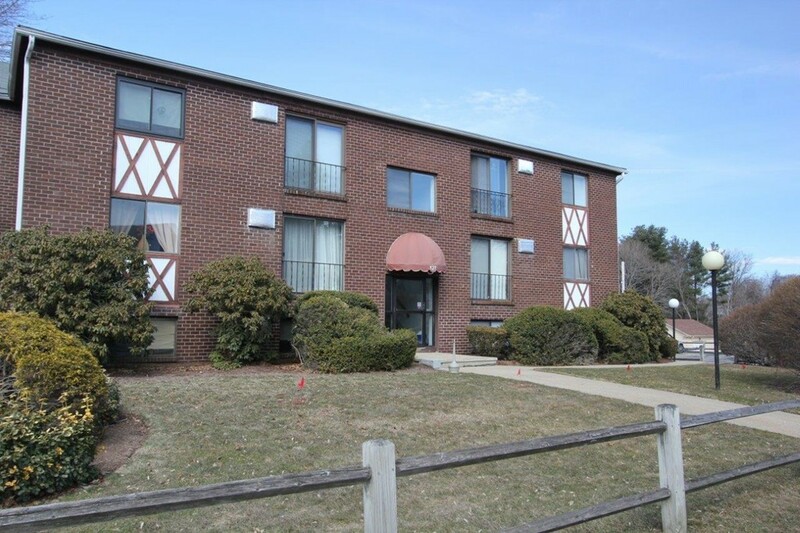 Well maintained, single level condominium available at Claremont Condominiums. Two bedroom unit with existing tenant. Unit has been well maintained, maple kitchen cabinets, tile flooring and a large living room to relax in. This unit is in the courtyard area so there is minimal traffic to hear. Plenty of parking and a common in-ground swimming pool for all to share. Call to schedule daily showings. All offers due by 12Noon on Tuesday, April 2nd. Enjoy the best of both worlds here in The Castle Hills development! While the entrance is on Main Street, packed with amenities, the units are located way back off the main road where you can enjoy your peace and quiet! This 2 bedroom condo has been completely renovated and is ready to move in! Brand new carpets and paint for you to enjoy along with a brand new stainless stove and dishwasher! In unit laundry and a deeded indoor parking space for those cold winter days! Why rent when you can own for less? Offer deadline Monday 10 am. 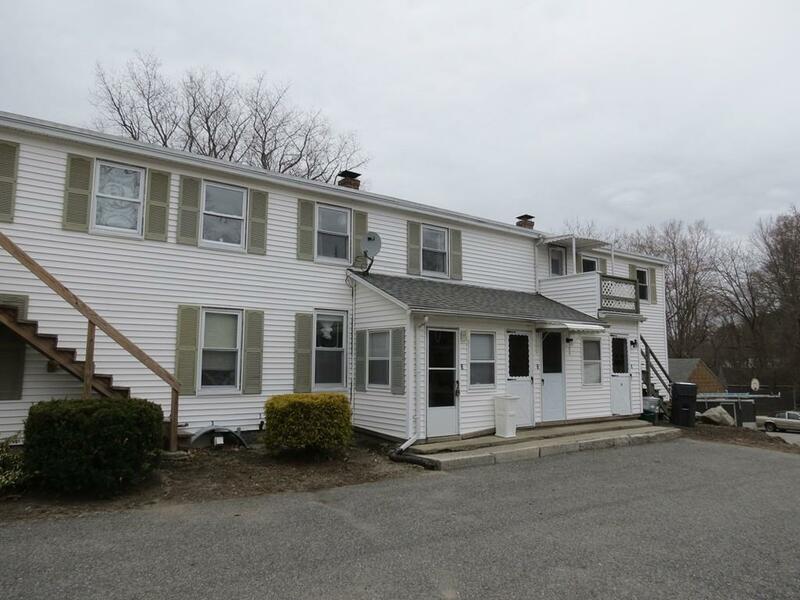 Don't miss this affordable 3 bedroom 2 bath condo located in South Grafton! 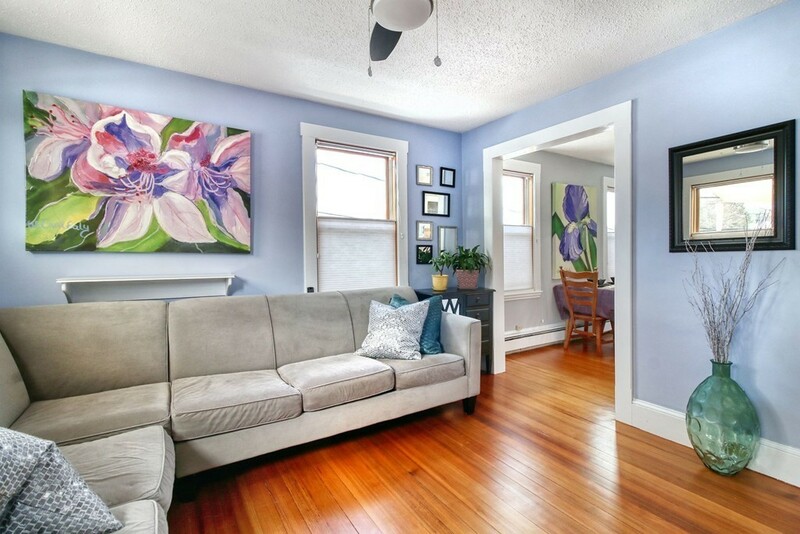 Great commuter location & only 10 minutes to the Train & Tufts! This 5 unit condo complex was converted/renovated in 2008. The first floor offers a fully applianced eat-in kitchen along with stackable washer & dryer, full bathroom, living room and dining room, mudroom entryway, and back enclosed porch for extra storage, huge pantry closet, 2nd floor has spacious master bedroom, two additional bedrooms and full bath. There is also a two car detached garage with one private bay that is exclusive to this unit. Full basement with additional private basement storage rooms. Newer roof (2014) and updated electrical panel 2008. Two pets allowed--dog under 30 lbs. per Rules & Regs. Looking for something unique? Living at Sanford Mills gives you the feel of unique loft living with the benefits of suburban serenity! 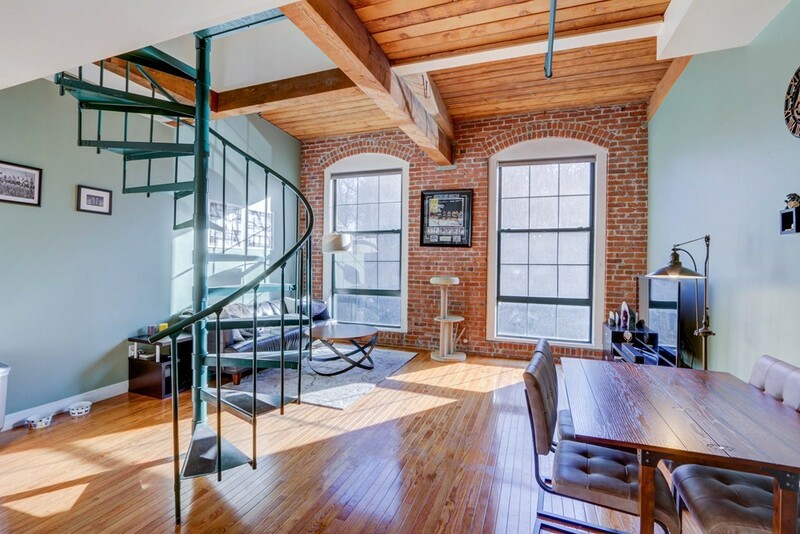 The exposed bricks and beams along with high ceilings and spiral staircase create a cozy yet one-of-a-kind living space. 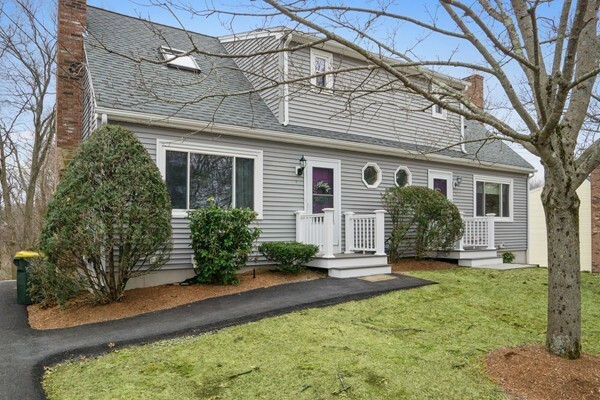 Massive south facing windows let in a ton of natural light and offer a great view of the waterfall which provides incredible scenery all year long with views of playful beavers, ducks, and heron in the Charles River right outside your window. Plus! private laundry in unit and a smartphone key system. There's no other place around quite like the Sanford Mills! 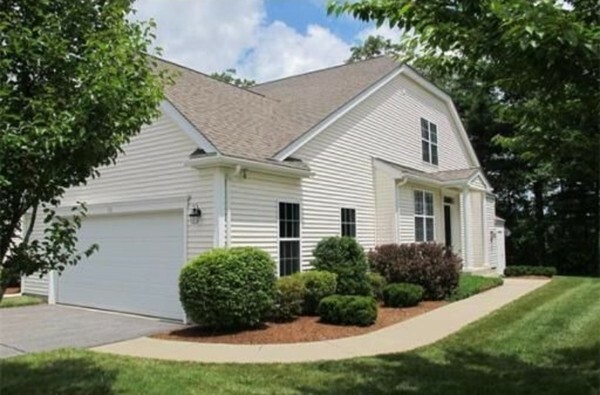 Nicely maintained Amherst unit condo in lovely Laurelwood Condominium complex. Open floor plan for living/dining area. Large slider to balcony for warm days and cozy fireplace for cool nights. Enjoy the scenic wood view from the living room. Updated galley kitchen with granite counters, soft-close cabinets and light-filled kitchen nook. Two bedrooms upstairs with double closets,laundry, linen closet, full bath with double vanity and plenty of storage. Newer tilt-in windows, slider, and storm door.Unfinished basement can be used for additional storage.Convenient commuter access to Rts 140, 495 and 126. 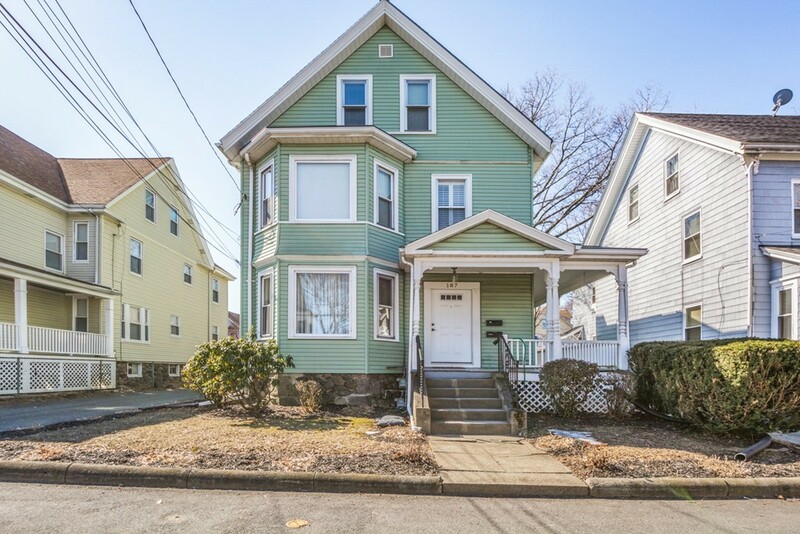 No showing until open house on Sunday March 17, 12:30 - 2:00 pm. 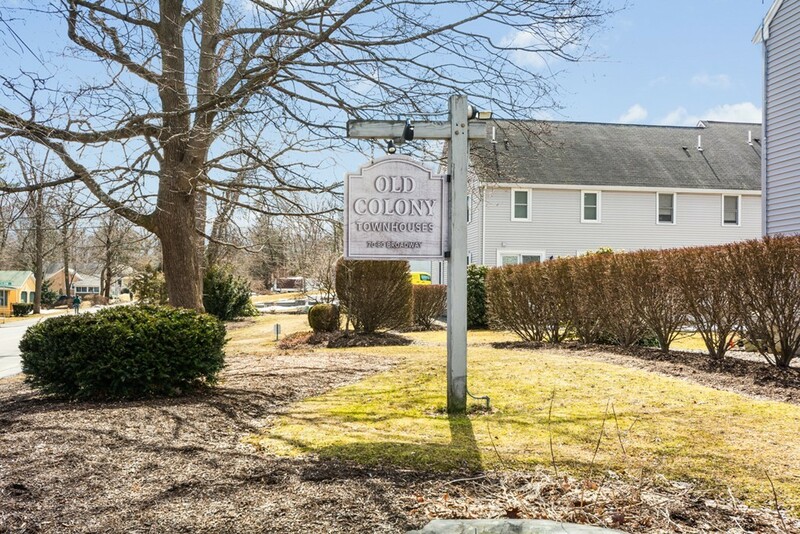 Welcome to your new home at desirable Old Colony! All you need to do is bring your things and move right in. Freshly painted throughout in neutral tone to compliment any decor. Plenty of cabinet space in kitchen, fully applianced great for entertaining open to adjoining dining area. New carpeting through out (no one has lived with them) installed on first two levels. Spacious bedrooms with ample closet space. Laminate flooring in kitchen/dining area with sliders out to sunny deck and lawn space. Lower level adds additional bonus living space. Central Air unit 1 year new. Great commuting location and just minutes to major highways. Within walking distance to down town for shopping and dining. Reasonable fee and a well maintained and managed property. Under contract, but the open house today will still be hosted. This is the first unit that has been listed in this tucked away community since 2017, and it has had many updates since it last sold. 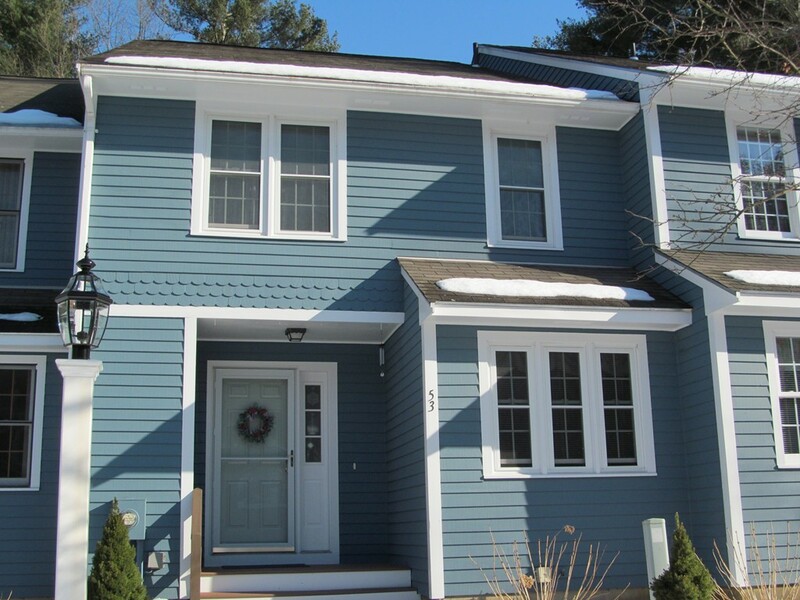 Harvey vinyl replacement windows (2006), vinyl siding, architectural singled roof (aprox. 2009), granite counter-tops in the kitchen (2011), bathroom updates (2012), boiler (aprox. 2014/2015), kitchen flooring (2016), water heater (2018), freshly painted (2019). Direct access to the upstairs bathroom from the master bedroom. In-unit laundry. Two cars may be able to fit in the garage in tandem. Located on a dead-end cul-de-sac road in an area with plenty of greenery. Superb highway access (290, 395, 90, rt20) can mean less time spent commuting, and more time doing the things that you love. According to HUD, this is the only active FHA approved condominium in desirable Auburn!! Whether you are a first time buyer, looking to downsize or investment opportunity....this townhouse might be for YOU! Located in the heart of Franklin, this 2 Bed, 1.5 Bath offers an updated kitchen with granite countertops, stainless steel appliances all under a year old. Newly installed HVAC system. The partially finished basement allows the opportunity for even more space in the future. Front load washer and dryer included in sale. Good sized bedrooms - Master has double closets. 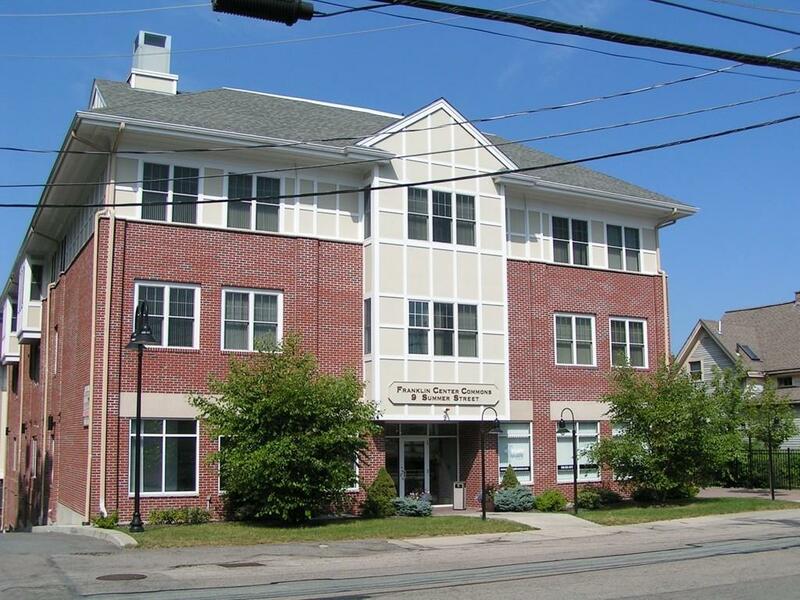 Conveniently located near MBTA commuter rail, shopping, schools and 495. Move In Ready...Quick Close possible! Price Reduction!! Sellers found a new home and want to sell...don't miss out on seeing this beautiful move in ready town-home. 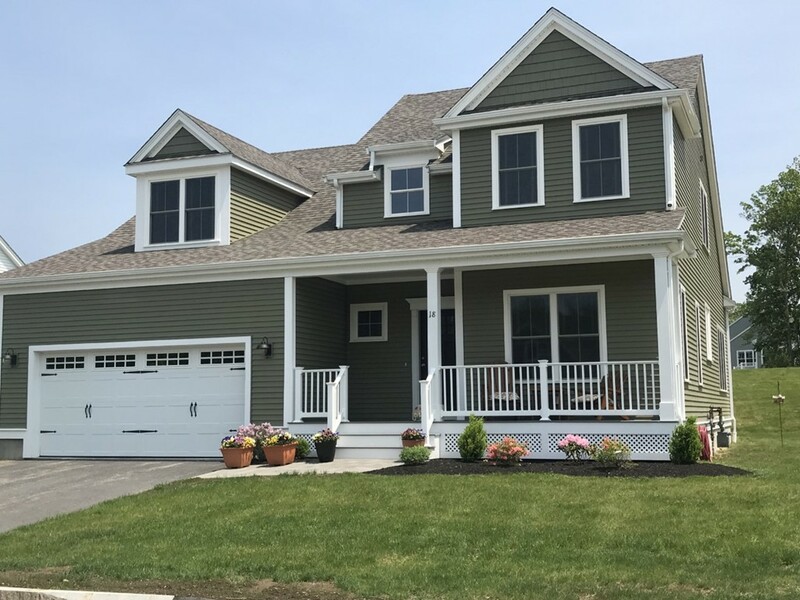 Built in 2015, this home offers many great features including an open floor plan with hardwood floors throughout the first floor and carpeting on the second. 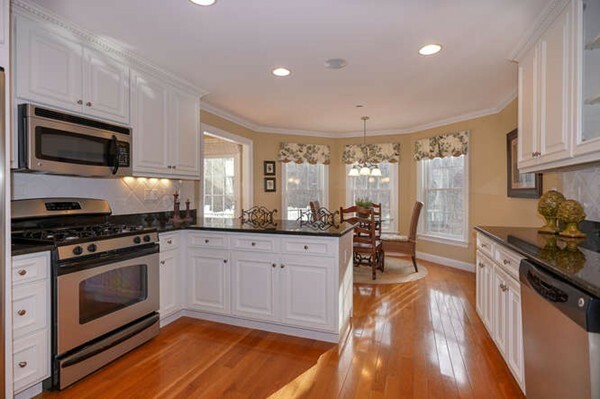 The kitchen offers custom cherry cabinets with dovetail and slow close drawers as well as stainless steel appliances. The second floor offers 3 large bedrooms with washer & dryer hookups in the spacious full bath. The basement is ready to be finished for extra living space, and has access to your 1 car garage to keep you dry and warm in the cold New England weather. Home close to the center of town and just minutes to Rt. 146. Enjoy condo living with no condo fees!! 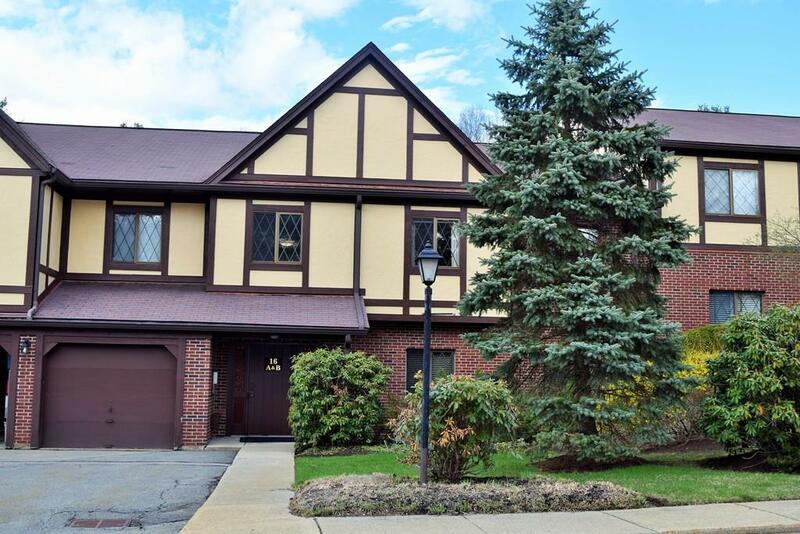 **Highest and Best Offers Due Monday (3/18/19) at 6PM** Here is the Forest Hills condo you have been patiently waiting for! The first floor master suite with huge walk-in closet, dual vanity tub/shower master bath, and on-suite laundry makes this the ideal home for buyers of any age. Amazing eat-in kitchen with stainless appliances and gas stove. Gleaming hardwoods throughout first floor. Wide-open living/dining room with gas fireplace. The deck off of the back of the home is the perfect place for your morning coffee, and the lofted 2nd floor with full bath and full-size bedroom (with walk-in closet) is the perfect set-up for family/visitors. New hot water heater, newer appliances, and fresh new paint throughout. Attached garage and central air! The finished basement is the PERFECT (wo)man cave, complete with full wet-bar, two 'kegarators', mini-fridge, and full HD 1080p projector, all included! 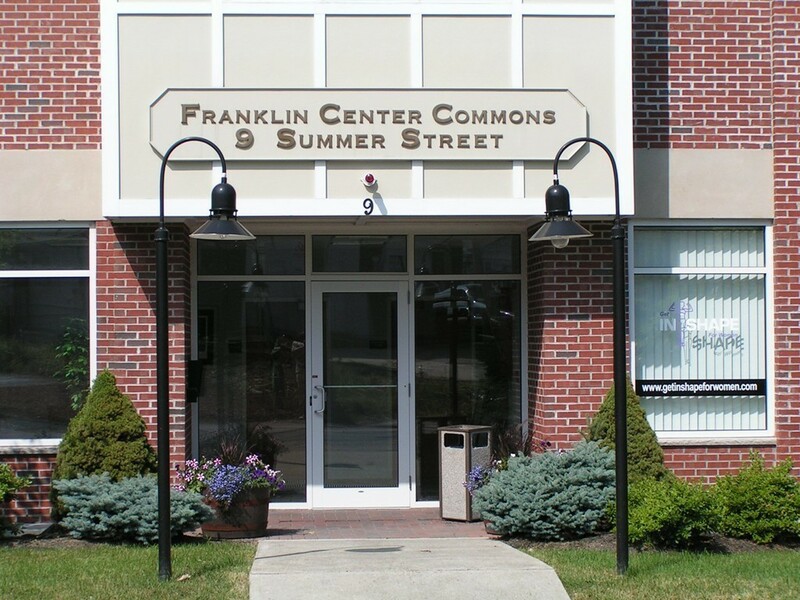 A commuters dream w/ easy access to the Mass Pike, Commuter Rail, and Route 9! Stunning, Luxurious & Turnkey Townhome in No. Milford on Hopkinton Line! This Gorgeous Unit Has Stunning Decor & Fabulous Updates! Private Location Makes this Unique! Two Story Foyer is Sundrenched & Leads to Your Open Concept Design! Perfect for Entertaining with Your Center Isle Kitchen Loaded with Cabinetry, SS Appliances & Gas Cooking Perfect for the Chef! Step out to Your Deck Ready for Wine & Grilling! Relax in Your Family Room with a Cozy Gas Fireplace, Bay Window & is Open to the Dining Room! The Entire Unit has been Updated with New Paint & Stunning Hardwood Flooring Thru-out! The Master Suite is Spectacular w/a Volume Ceiling, Private Sitting Room, Tons of Glass, Double Sided Gas Fireplace, Hardwood Flooring & En Suite Bath w/a Spa Like Jetted Tub & Separate Shower! The Guest Bedroom Features a Volume Ceiling, Hardwood Flooring & En Suite Tiled Bath. 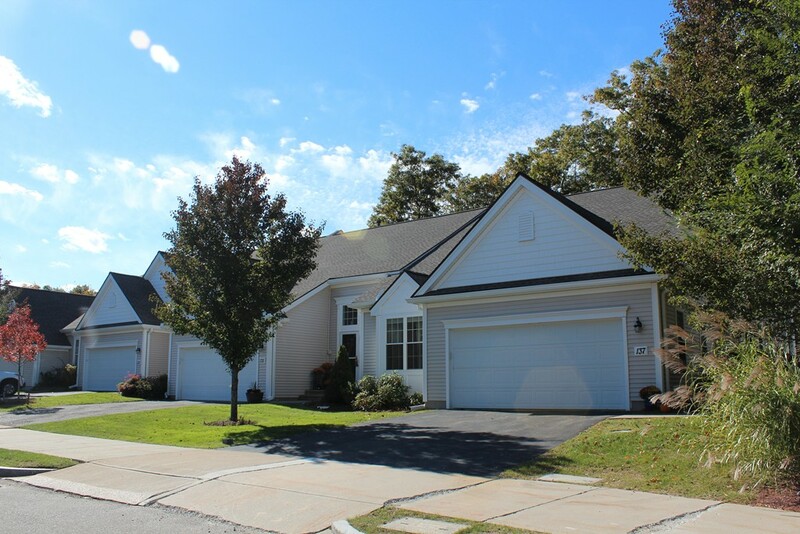 Central Air, Gas Heat, 2 Car Tandem Garage, Easy Access to 495 & Located in Sought after Leland Farms! W/D and Ref Incl! Reasonable/Stable Condo Fees! Hawthorne Village 2 Car Gar End Unit Town home! Beautiful secluded grounds yet convenient to all of today's amenities including pool, tennis courts & picnic space! The ease of condo living with space of a singe family home complete with finished WO basement for fun entertaining space! The open concept plan begins with an eat in kitchen area opening to spacious kitchen complete w/gas stove & lots of cabinets! Flowing into living room space is the dining room area as well as fireplace and slider to sunny outdoor deck. Add in the optional den space which would make for the perfect 1st floor home office and/or optional bedroom! 2nd level has open loft area waiting for your creative ideas-perhaps home office? craft area? play space? and a full bath! SUPRISE in master bedroom is your private hidden HOT SAUNA off the WI closet..perfect escape at end of a long day! Another bedroom completes 2nd level! Home includes Insteon Smarthome system & nest thermostat! WOW! PLEASE SEE EXTENSIVE LIST OF RENOVATIONS ATTACHED. 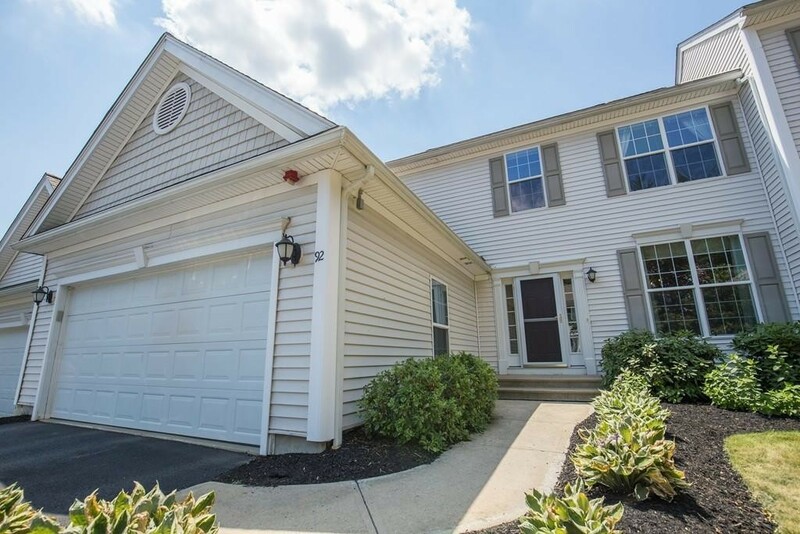 A dream opportunity awaits for you at desirable Indian Brook in this beautiful end unit with everything you could ask for. Walk through the front door and you will think this is a brand new condo. Move in without doing one thing. New granite kitchen and updated bathrooms, beautiful carpet, neutral, fresh paint, hardwood floors and kitchen built ins. If ever there was a move in ready condo, this is it. 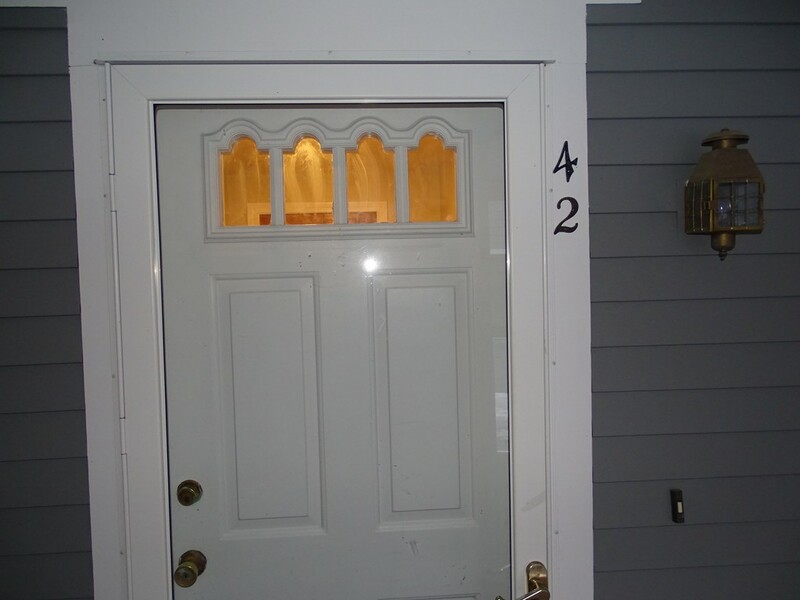 Two bedrooms, walk in closet, sunny and light, cathedral ceilings, step down living room, living room fireplace, new shades and a finished basement. 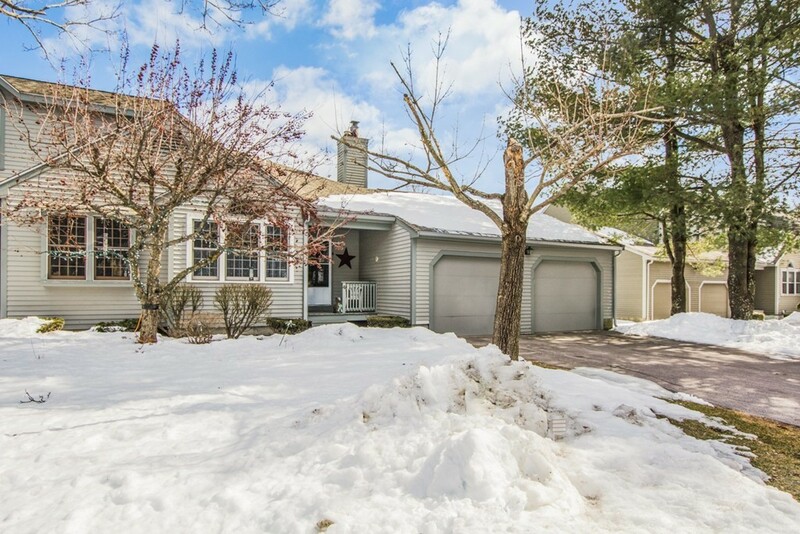 Such a serene area with deck overlooking beautifully maintained private grounds. 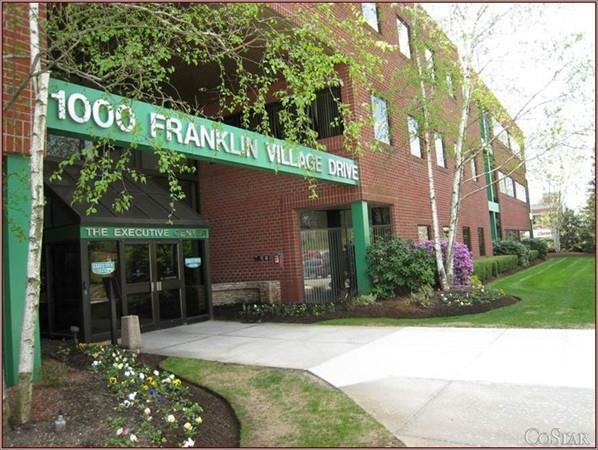 One of the best commuting location in Hopkinton - one minute to Route 495, and a few miles to Mass Pike. The Southborough train station is just off the center of Hopkinton. And, Hopkinton is rated number 5 according to U.S. News and World Report for the best public high schools in Massachusetts. Don't miss this FIRST FLOOR B Unit!! Enjoy your morning coffee while overlooking the 5th fairway at highly sought after Royal Crest Country Club. Take pleasure in long walks around the beautifully cared for grounds, play a game of tennis or go for a swim. 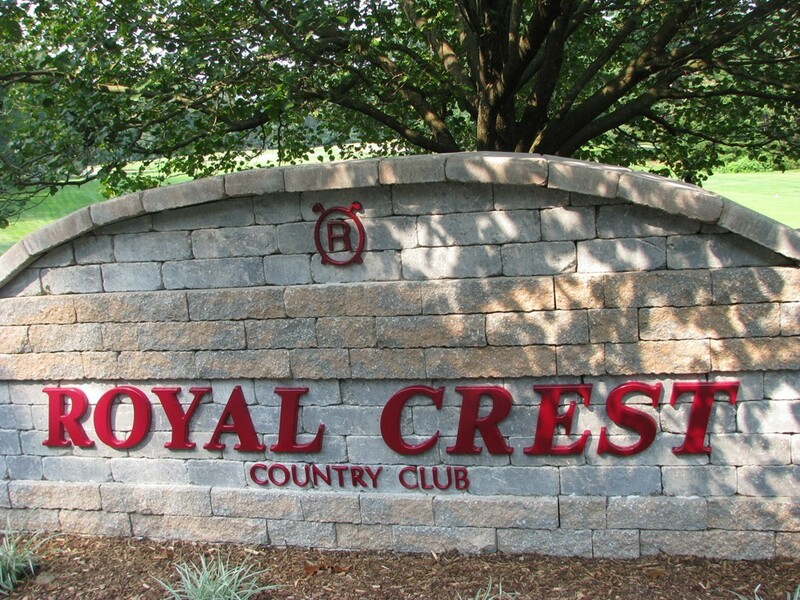 Royal Crest offers the lifestyle you have been looking for! This ground level, walk out unit offers an updated kitchen with granite counters. Open dining and living room overlook the fairway. Down the hall you will find the master bedroom complete with bath and large walk in closet. Also tucked down there are the second bedroom, second bath and in unit laundry This unit has an 11x16 heated storage room located on the second floor. Plus a garage! This is everything you need, move in time to enjoy all the wonderful summer amenities Royal Crest has to offer! Seller will pay remaining reserve replacement balance for 2019 at closing. Showings start immediately!! WEEKLY OPEN HOUSE HOURS IN MODEL THURSDAYS 1-5 and FRIDAYS 11-3. Welcome to Bellinghams newest Condominium Community. Community professionally designed for individuals seeking and easy-living lifestyle AT ANY AGE. 36-unit development consists of triplex Condominiums surrounded by natural wooded beauty for desired privacy... 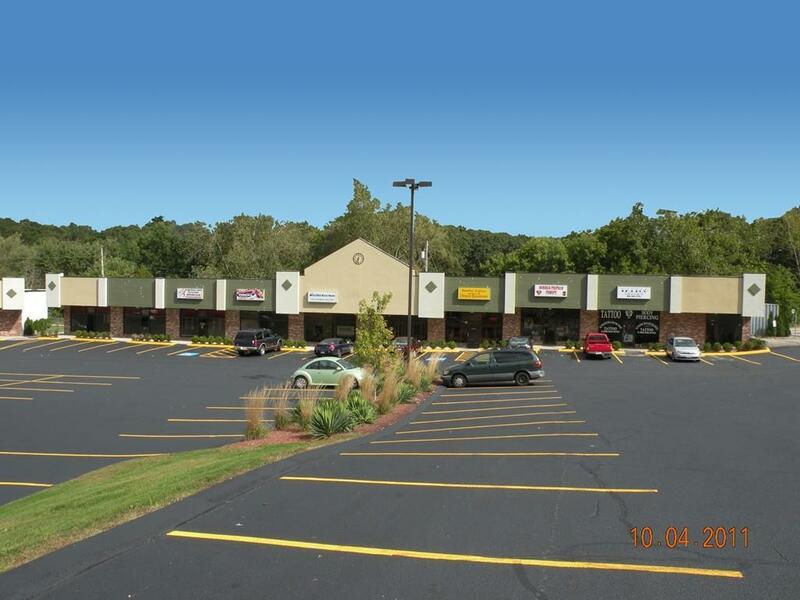 LOCATION LOCATION Conveniently located at the Intersection of Franklin Rt 140 and Bellingham Rt 126. Franklin Exit 17 and Bellingham Exit 18. Close proximity to the infamous Patriots Place. 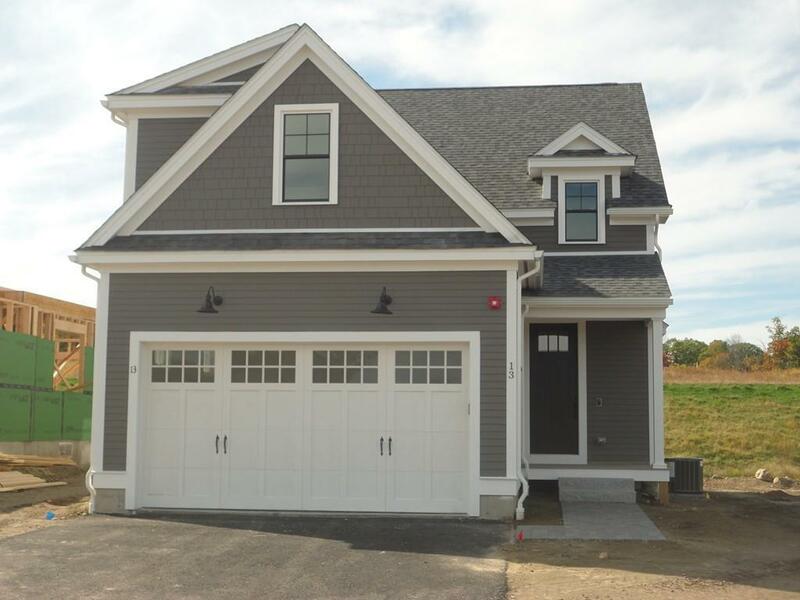 EACH UNIT Designed with an Open Concept, 2-car garage, 2 bedrooms, 2.5 baths and optional finished basement Developed by local Builder Team providing full service real estate development company specializing in residential new construction, design and sales throughout Massachusetts. 14 is End Unit. WEEKLY OPEN HOUSE HOURS IN MODEL THURSDAYS 1-5 and FRIDAYS 11-3. Welcome to Bellinghams newest Condominium Community. Community professionally designed for individuals seeking and easy-living lifestyle AT ANY AGE. 36-unit development consists of triplex Condominiums surrounded by natural wooded beauty for desired privacy... LOCATION LOCATION Conveniently located at the Intersection of Franklin Rt 140 and Bellingham Rt 126. Franklin Exit 17 and Bellingham Exit 18. Close proximity to the infamous Patriots Place. 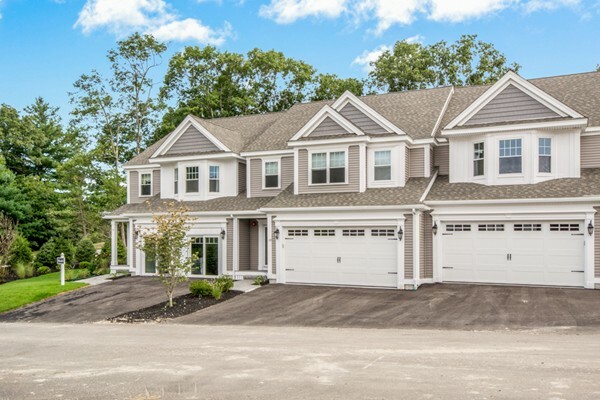 EACH UNIT Designed with an Open Concept, 2-car garage, 2 bedrooms, 2.5 baths and optional finished basement Developed by local Builder Team providing full service real estate development company specializing in residential new construction, design and sales throughout Massachusetts. 23 is End Unit. 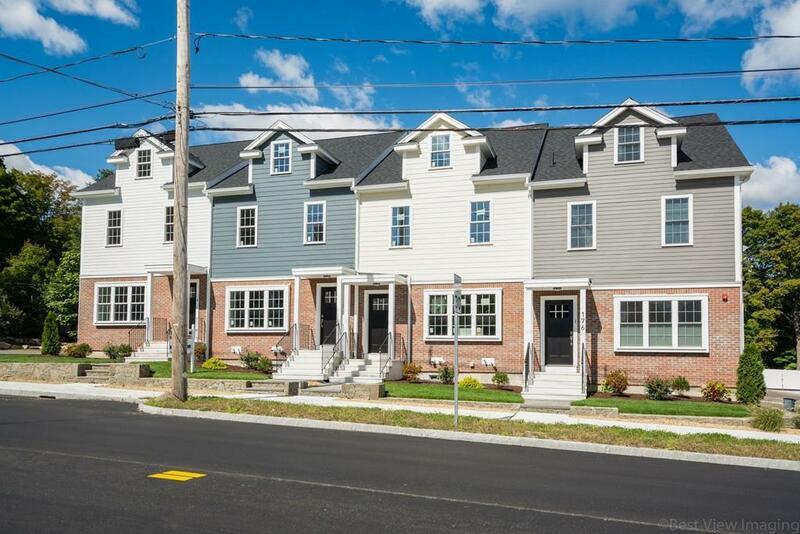 Proudly offering Medway's newest townhome ownership opportunity. 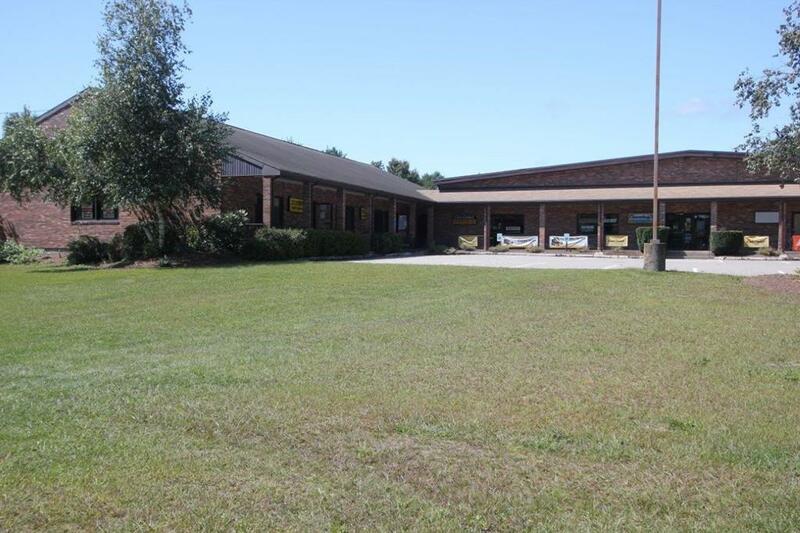 If you are looking for a convenient location, look no further! These units are a perfect combination of an urban feel in a small, desirable community. 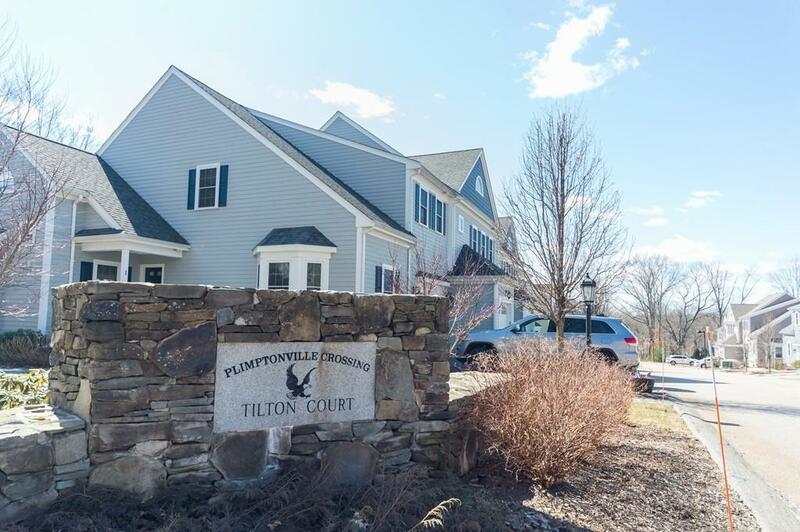 An enhancement to the 109 renovation project with conveniences of walking to newly renovated Choate Park, offering fishing, swimming, tennis, and a play ground. Quickly access the plazas, bus stop, and place of worship all within waking distance. 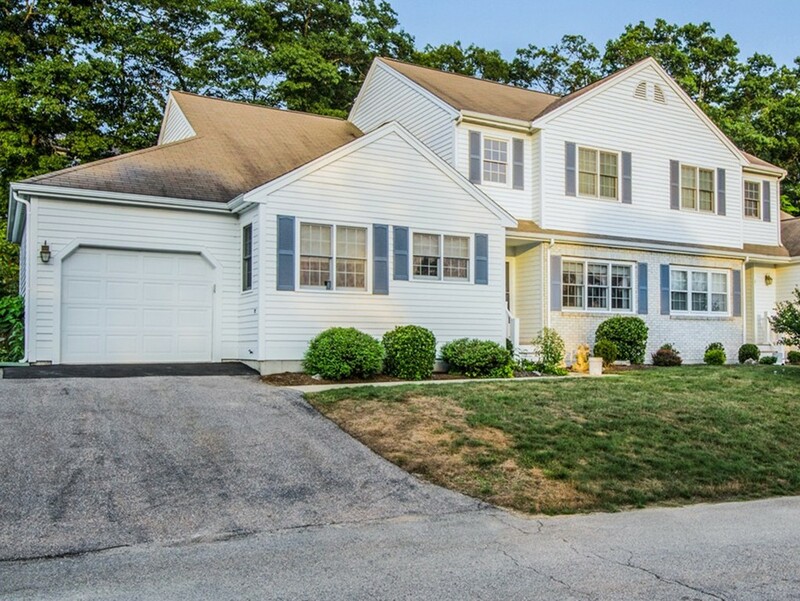 A short 5 min drive to 495 highway for easy commuting, or 10 minutes to commuter rail. Interior space designed for casual, carefree living. Hardwood flooring, tile baths, granite counters, still time for your personal selections. There are a total of 8 units being built. Two buildings;4 units on Main St and 4 units on Mechanic St. Reputable, seasoned builder ready to customize for you. End units on Main St will start at $429,900 and offer the option of completing the 3rd floor for additional 420 sq ft. Stop in at an open house! Sun drenched second floor condo with two bedrooms and two full baths including a master en suite. Hardwood floors through both bedrooms, LR, DR and luxury vinyl plank in the kitchen. Unit boasts an eat in kitchen and separate dining room with custom built-in for all your storage needs. 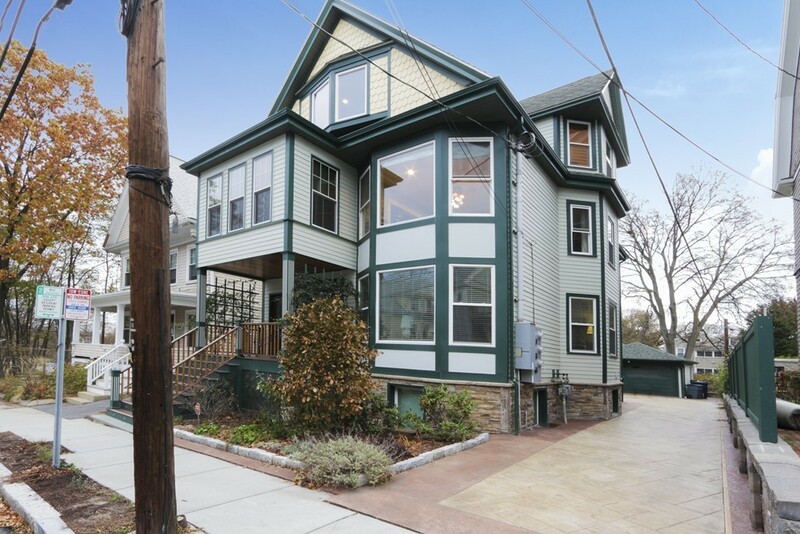 This condo is a commuters dream located only three blocks from three bus lines that go to Forest Hills. 18 minutes to South Station via the Commuter Rail. 0.5 miles to the square, 1.2 miles to the Arnold Arboretum. Private deeded porch, single deeded off street parking spot and private deeded 200 square foot storage unit in basement with laundry hookups. Come check it out for yourself! 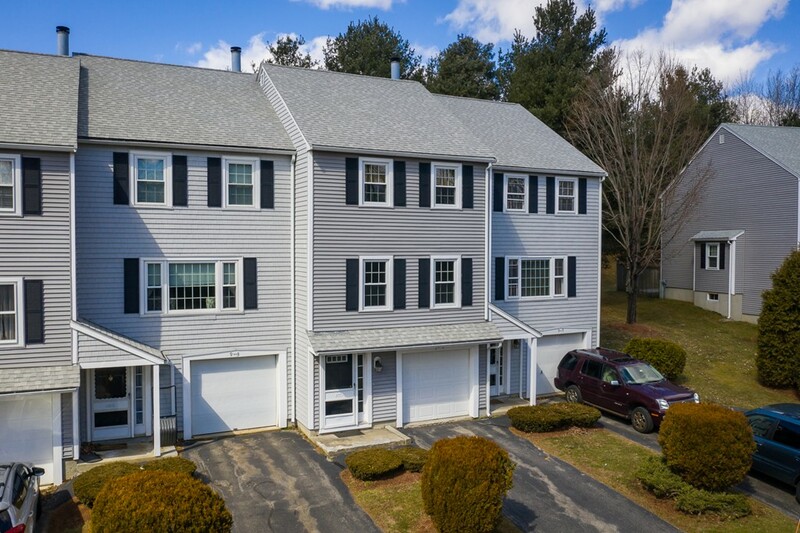 Spruce Pond's finest.... Hard to come by END unit w/ attached 2 car garage. This bright, beautiful home is move-in ready & loaded with updates. Large cabinet packed eat in kitchen wi/ granite, tile back splash, newer range, dishwasher & fridge (16), breakfast area w/ cathedral ceiling & large picture windows. Open living & DR concept w/ vaulted ceiling, skylights & gas fireplace. Master bedroom suite w/ double closets and updated full bath w/ tiled shower (16). A 2nd bedroom, laundry & addl updated full bath (16) complete the 1st floor. You need more space? No worries. Head down to the finished walk out lower level - family room, bonus spare room (office/den potential), & one more updated full bath (17). 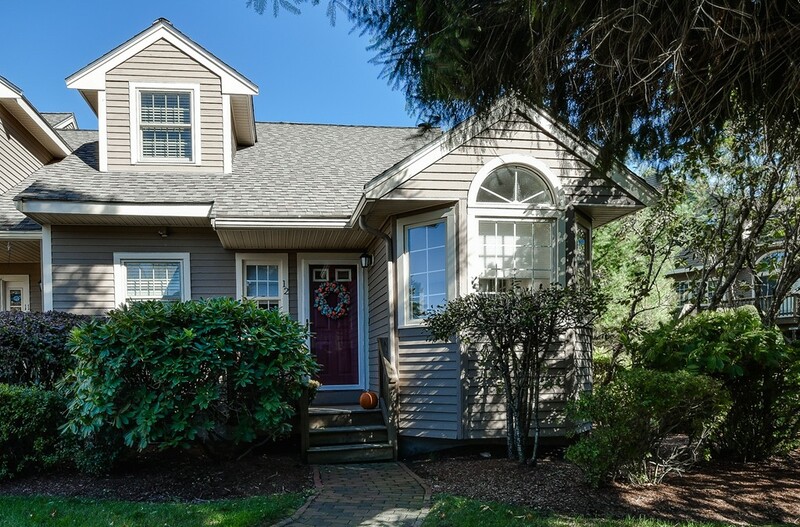 Sit out on the private deck & enjoy the peaceful outdoor surroundings w/ views of Spruce Pond. Added Bonuses: PLENTY of storage and closet space; NEW maple hardwoods (16), updated lighting, town water/ sewer & natural gas. First floor living at it's best....Wow!! BEST LOCATION at The Villages at Oak Hill. ASK ABOUT THE PRE-PAID CONDO FEES! You can start your day off in this colorful breakfast nook sipping coffee and viewing the wildlife at the bridge, turtles, deer, etc... or relax by the gas fireplace in the living room with a picturesque view of the conservation land out back or enjoy it on your private deck and listen to nature! Need to entertain? No worries. The open floor plan is great for entertaining and extends from the DR to LR to the outdoors. Master suite on the first floor offers plenty of sunshine, closet space and master bath with Jacuzzi tub to rejuvenate in. Visitors will be very comfortable in the 2nd floor bedroom, full bath, and loft den. Bonus room offers space for sleepovers, projects, arts & crafts yoga or exercise! First floor laundry makes it single level living and the basement has space for a workshop and storage area. Active community has a club house, many social activities and group projects. This stunning townhouse has updates galore! Bright, spacious, eat-in kitchen is an entertainers dream! Packed with updated cabinets, granite counters, stainless appliances & tile flooring. The 2 story foyer sets the stage for the soaring ceiling effect you will feel as you walk into the sunlit family room, which offers a corner gas fireplace and a slider to the back deck. The formal dining room is open to the family room to allow the perfect transition from dining to relaxing. 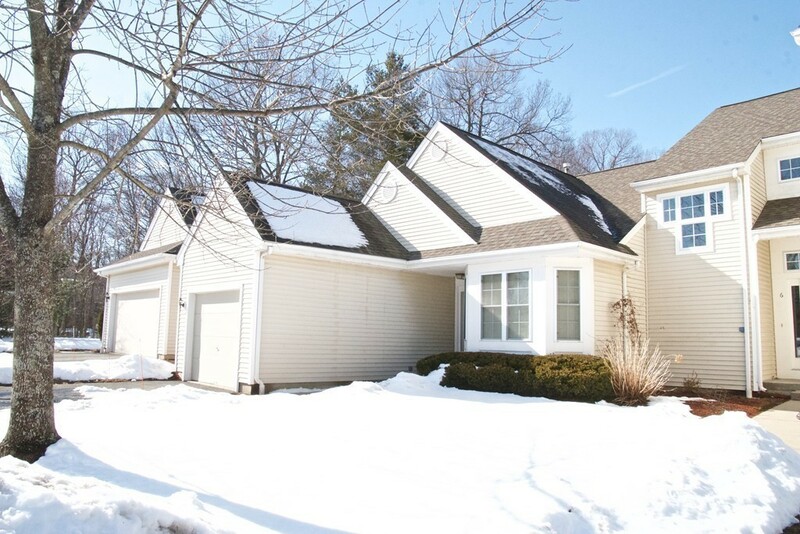 First floor master suite with tastefully updated master bath which is handicapped equipped. 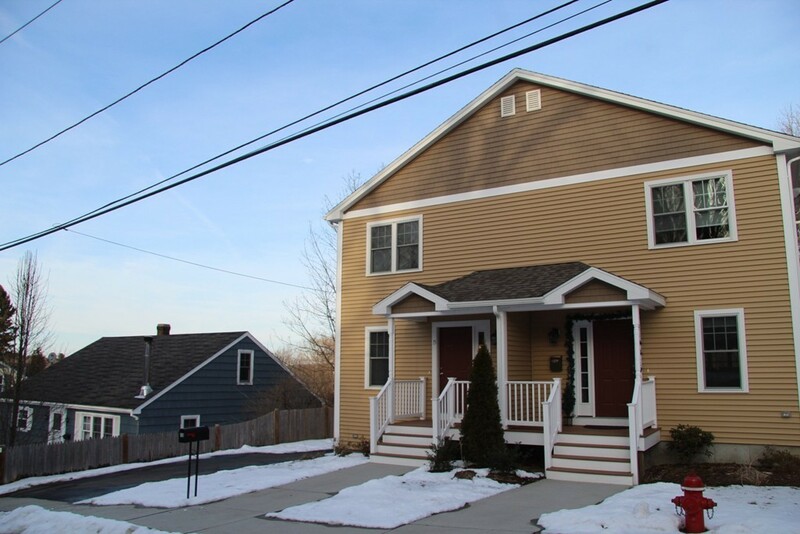 Second floor has loft that overlooks family room, 2 spacious bedrooms, remodeled full bath & home office. 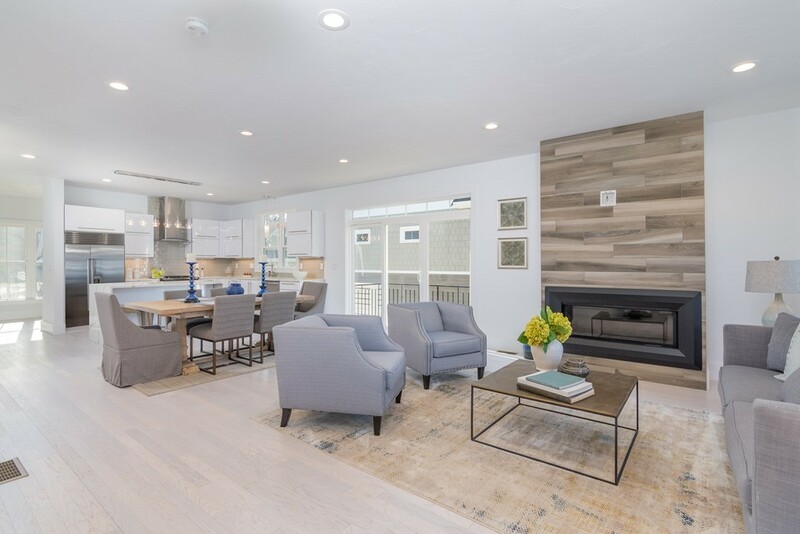 The lower level has been beautifully finished with a guest suite, which includes a private 3/4 bath, separate laundry room, a cabinet packed kitchenette area (no range) with sink, bedroom w/closet & additional storage spaces throughout. One of the few units with irrigation. Transferable home warranty included. The Village at Highland Park, Gorgeous open floor plan! updated cherry Kitchen w/ walkout bay, granite counters, Bosch SS appliances: gas stove, dishwasher & microwave, built-in pantry, bar & spice storage, complete w/ tiled backsplash! 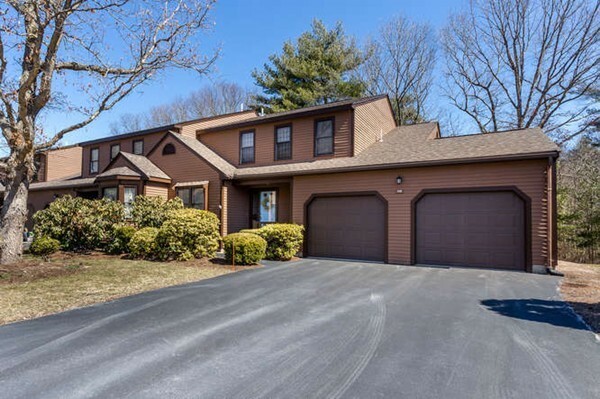 Gleaming hardwood floors in Foyer, Half Bath, Kitchen, Dining area, Living Rm, Master Bedroom, Bedroom 2, Hallway & staircase! Living Room offers gas fireplace with detailed mantel surround & wall of glass w/slider to good size deck overlooking picturesque grounds. Half Bath w/ granite & pocket door. Master & Bedroom 2 offer cathedral ceilings, private bathrooms & great organized closet systems! Master Bath w/ double sink vanity, shower stall, Jacuzzi & tile floor. French Door leads to finish lower level w/ lots of storage closets, built-in desk & walkout. Recent furnace & Central Air. Central Vacuum, Custom blinds remain! 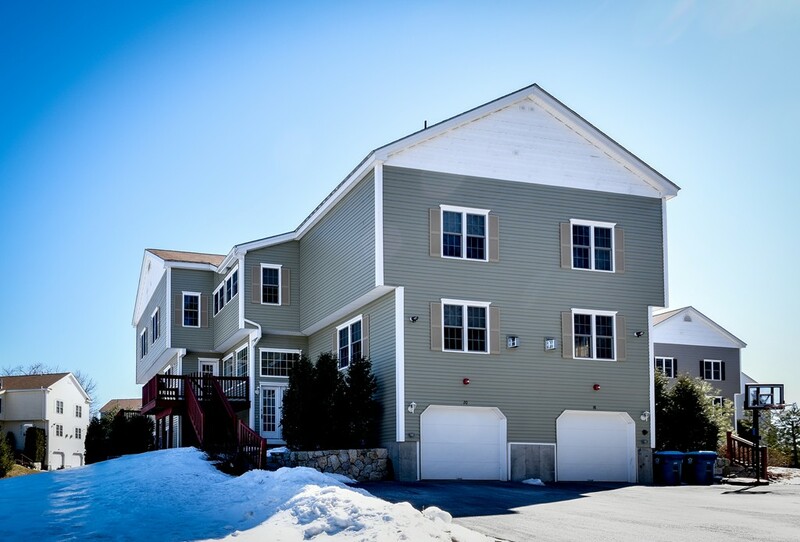 Spring on over to Medway Greens, 8 townhome units. Only 2 ownership opportunities remain in first bldg. These units are a perfect combination of an urban feel in a small, desirable community. Quality construction, all with 1 car garages and open concept living on main floor. Luxury Hollywood bath with oversized soaking tub, tile surround shower & makeup counter.Convenient 2nd fl laundry. Enhancement to the 109 renovation project with conveniences of walking to newly renovated Choate Park, offering fishing, swimming, tennis, and a play ground. Quickly access the plazas, bus stop, and place of worship all within waking distance. 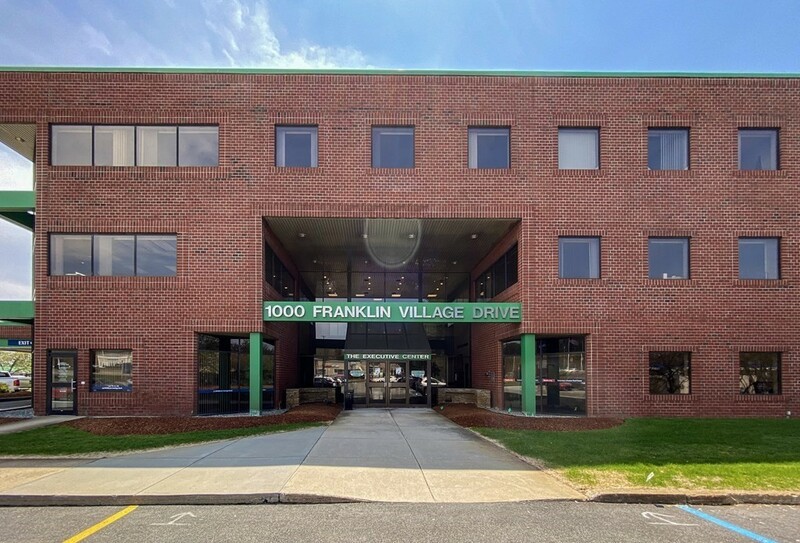 A short 5 min drive to 495 highway for easy commuting, or 10 minutes to commuter rail. Interior space designed for casual, carefree living. Hardwood flooring, tile baths, granite counters.Two buildings;4 units on Main St and 4 units on Mechanic St. Reputable, seasoned builder. Open House held most weekends or visit anytime by appointment. 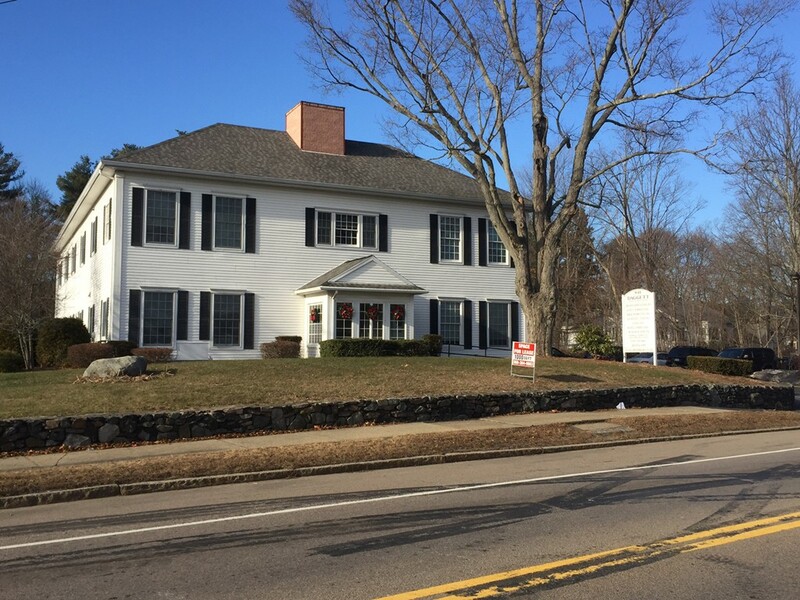 LOCATION - HOPKINTON! LUXURY CONDO IN DESIRABLE STAGECOACH HEIGHTS! Walk into the simply stunning, two-story glass foyer up the hardwood staircase and enter into the open-concept flow of the living room with gas fireplace to dining room to kitchen. On this level you will find a beautifully appointed kitchen full of cherry cabinets, stainless steel appliances and an oversized, granite center island. On this light filled level is also a convenient half bath and access to stairs up and down. Move in ready with neutral colors throughout. Enjoy the deck just off the kitchen, or enjoy your master suite with sitting area and master bathroom complete with a gas fireplace and Jacuzzi tub. Third floor loft area offers flexibility for a quiet reading space or office. 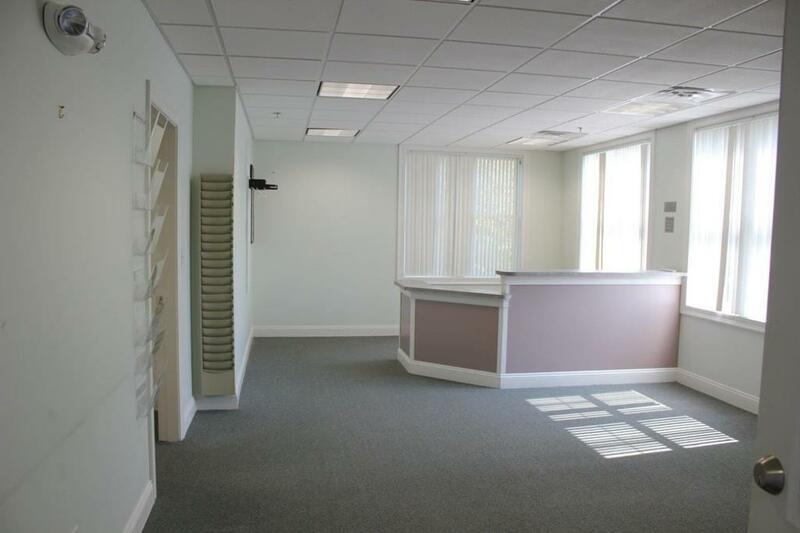 Easy commuter location with convenient access to Route 495, Mass Pike and the T station. Basement could be finished for added space for a playroom or media room. Showings begin Thursday, 2/28 at 4PM. OH Sunday April 14th, 11-1! Beautiful like-new attached home, set well back from the road on a private driveway. Hardwood floors throughout the open floor plan layout on the main floor. Island kitchen with patio door to deck overlooking fenced, private, back yard, and woodland beyond. Upstairs there are 3 generous bedrooms and a walk-up unfinished attic. The Master BR has a walk in closet and attached full bath. The basement is set up as a home gym but could add more living space with glass doors to patio and private yard. Spacious, gracious, elegant 2-level condo in the bustling Moody Street neighborhood. The main floor includes a gracious living room, formal dining, kitchen, private office, and guest bedroom. 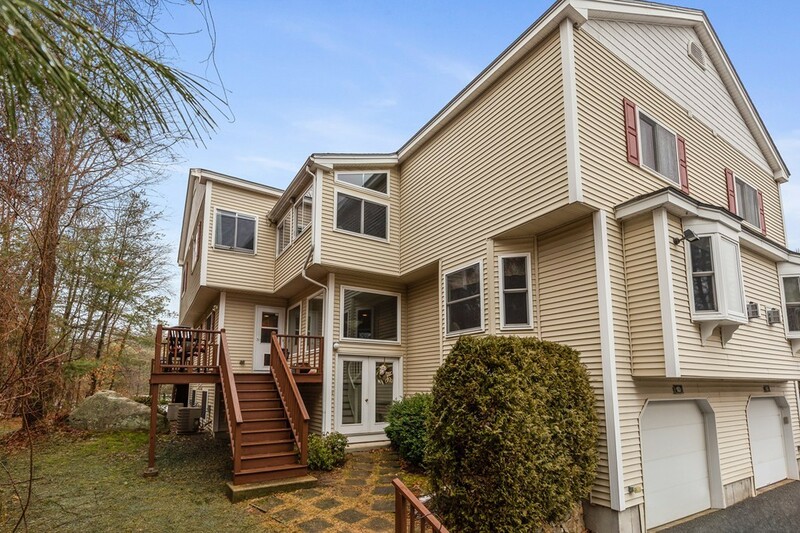 Enjoy BBQ or coffee on a spacious deck overlooking trees/grass in the back yard. The upper floor features 2 more large bedrooms, and a full bath with tiled shower. Off street parking. Storage space in a large attic area, and also in the building basement. SHOWINGS START FRIDAY 3/29. Magnificent END UNIT with lots of natural light abutting open space and conservation land. Custom unit with many upgrades including Crown Moldings, Hardwood on 2 floors, Custom Built-ins in the Family Rm and Office/Loft, Custom Shutters in many windows. Large eat-in kitchen with custom cabinets to the ceiling. Cathedral family rm and formal din rm. Master bedrm has custom walk in closet and large bath with oversized tiled shower, office/loft and laundry. Walkout lower level has FamRm with custom entertainment center, exercise/playroom and bath. 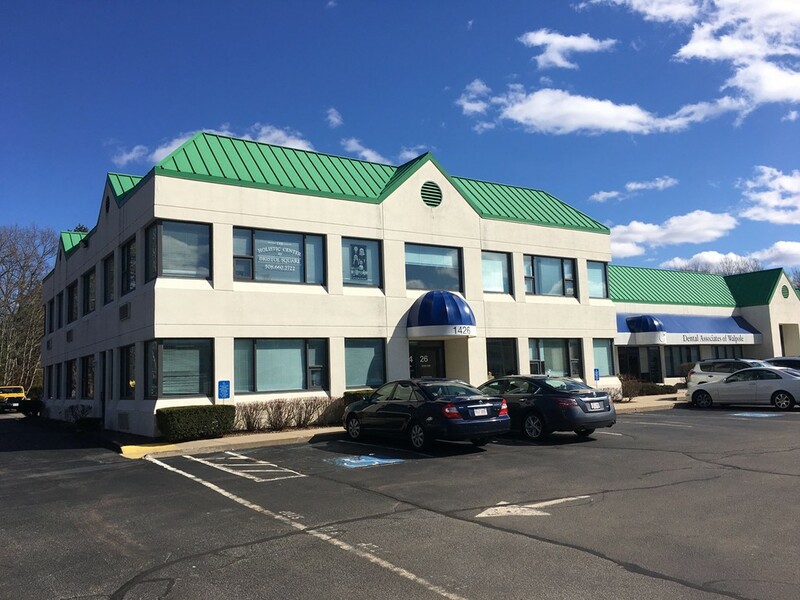 This location is close to Mass Transit, highways and Hopkinton State Park. There are only 24 units in this conveniently located community. ONLY 2 UNITS LEFT ~New Construction ~ Custom Build Your Own Home! ~ Welcome to "Rockwood Meadows" ~ a unique 55+ Condominium Community. 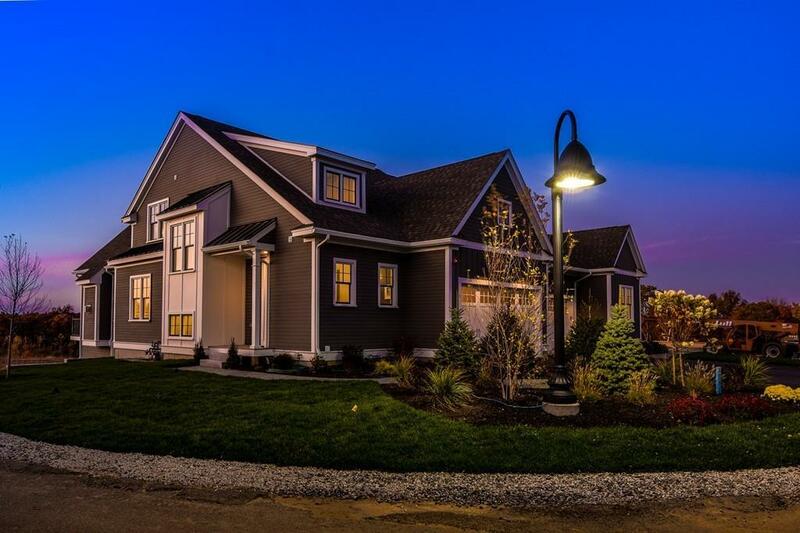 ~ 58 single family homes are nestled in a tranquil setting abutting Peppercorn Hill. The neighborhood design consists of open spaces, walking trails, unspoiled woodlands and a Community Center. This open concept Model C floor plan offers 2358 sq ft of luxurious living. Beautiful entryway reveals dining room with crown molding, chair rail, and wainscoting, Kitchen with custom made cabinets, granite and stainless steel appliances. Spacious family room with gas fireplace, built-ins and 9 ft ceilings flows into sunroom with cathedral ceiling. 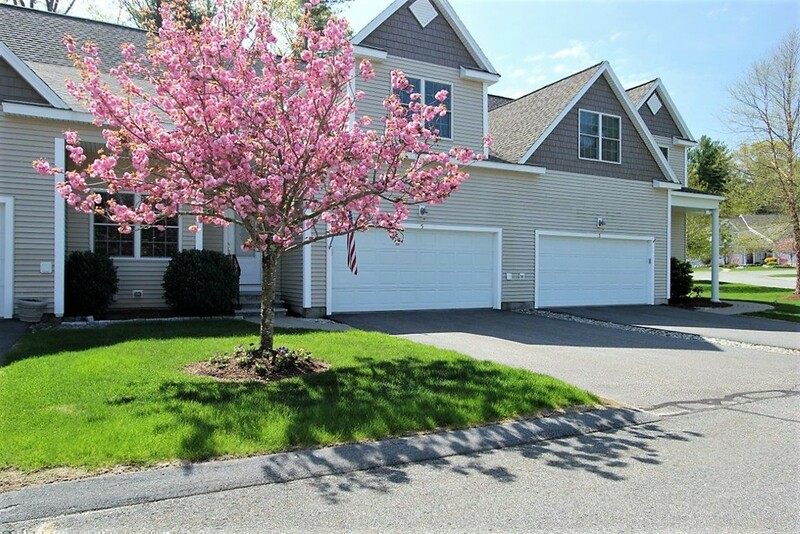 1st floor master suite, glistening hardwood floors, 1st floor laundry and mudroom, 2.5 baths, large loft that is perfect for a den or office, guest bedroom, 2 car attached garage, central air, and composite deck for outside entertaining. Completely renovated down to the studs in 2014! This stunning condo is set on a quiet street in Huron Village. 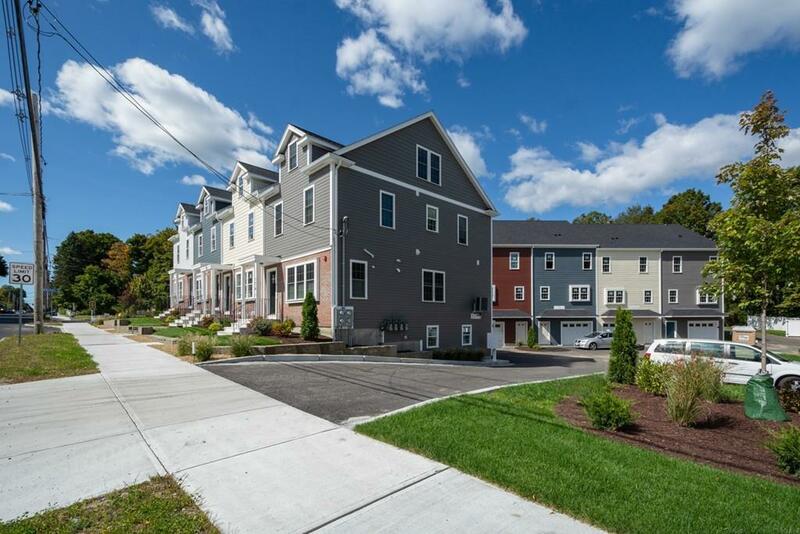 Short distance to the Fresh Pond park, a large playground, restaurants, bike path and a golf course. Close to Harvard Square and Whole Foods. This sun-filled upper unit offers 4 spacious bedrooms, 3 full baths - each with exquisite tile work, high ceilings, original hardwood pine floors, central air and humidifier, recessed lighting and built-in sound. A generously sized entryway perfect for a mudroom, office, or sitting area with natural light pouring in. 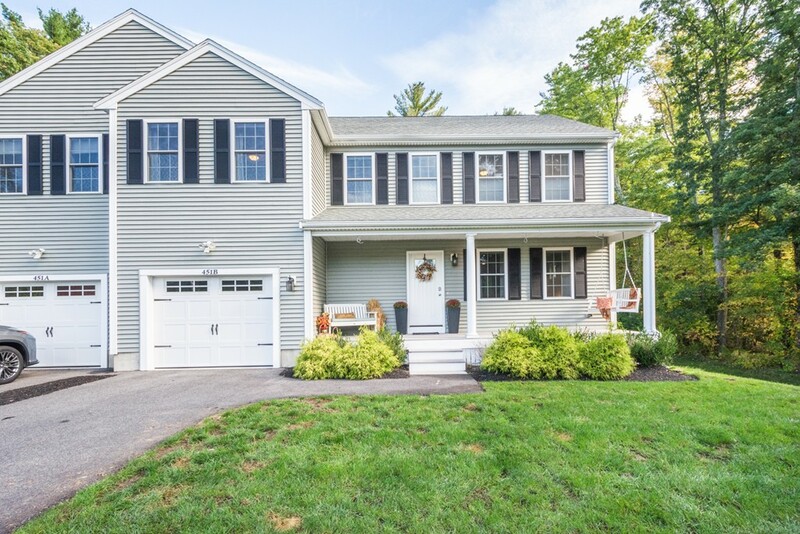 Main level open floor plan with two sets of bay windows is ideal for entertaining family and friends who will also enjoy relaxing summer evenings on your private deck overlooking Buckingham Field. Second entrance provides direct access to the garage parking / storage and blooming garden. This truly is an incredible property you need to see for yourself!